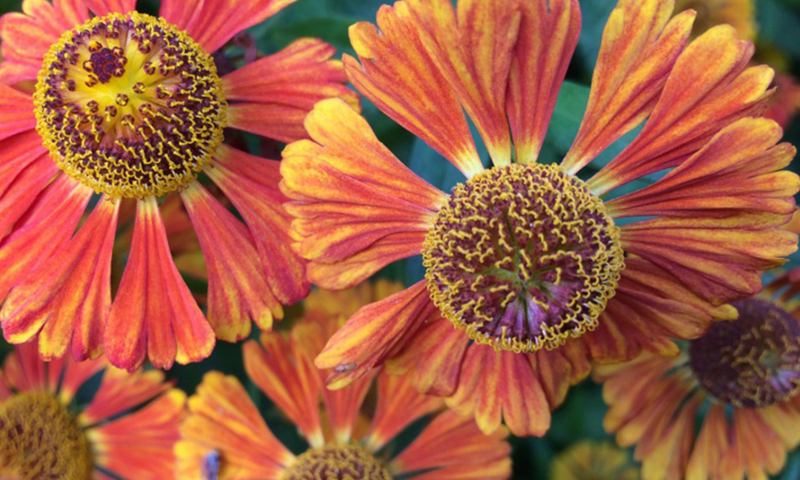 This stunning Helenium has lance-shaped, toothed leaves and begins flowering in early autumn, often lasting through to the first frosts. It likes a sunny aspect and does best in full sun, it is quite robust and copes well with either a sheltered or exposed spot. As with most plants it does well in moist but well-drained soil. They need very little care, just cut the dead stems off in the winter. Use them in the middle of a border to provide some height, some support might be required.